Celebrities have taken to Twitter to condemn the annual dolphin hunt in Taiji, Japan. The stars have asked their followers to protest, learn more about events and watch the 2009 Academy Award-winning documentary "The Cove," which sheds light on the slaughters that are traditional in this Japanese whaling town. See the celebrity activists in the round-up below, and head here to find out what you can do to help stop the slaughter in Japan. Dear Japan, how could such a stunning, brilliant, gorgeous country allow the bloody injustices of THE COVE? Please reign in your murderers. "@cnnbrk: Annual slaughter of bottlenose dolphins in infamous Japanese cove has started, http://t.co/lhIBRoG4EG" "DISGUSTING & DISGRACEFUL! Looking into the dolphin slaughter at #Taiji Cove. Heartbreaking and infuriating. Thanks all, for Tweeting about it. More than 200 dolphins are being slaughtered in Taiji right now. Please support & follow @whaleman1 to help end this cruel & needless hunt! 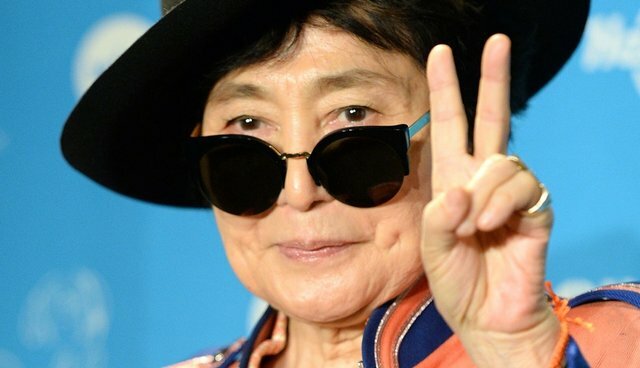 Please read - "To the Japanese fishermen of #Taiji from @YokoOno Lennon, 20 January 2014" http://t.co/omfd6qPrcV RT! @cnn @ABC @NBCNews @cbsnews @rafushimpo Please cover the dolphin slaughter in Taiji. @nhk_news It's unforgivable what is happening. This Image should be on @TIME magazine front cover! RT if agree! #tweet4taiji #Tweet4Dolphins #Taiji @CoveGuardians pic.twitter.com/D83YVL6LyD"
massive group of 5 pods of bottlenose dolphins trapped in cove in Taiji, including an albino. tragic. can't believe it's still happening. Just watched 'The Cove' and it's one of the best and worst films I've ever seen. Unbelievable. Watch it and see what you think..
@Iriesheik Show them "The Cove". Swimming with dolphins supports slaughter in Taiji. Heartbreaking..Bloodiest massacre in #Taiji EVER! 250 #dolphins waiting to be #slaughter ed in #TheCove TAKE ACTION andHELP! #tweet4taiji"